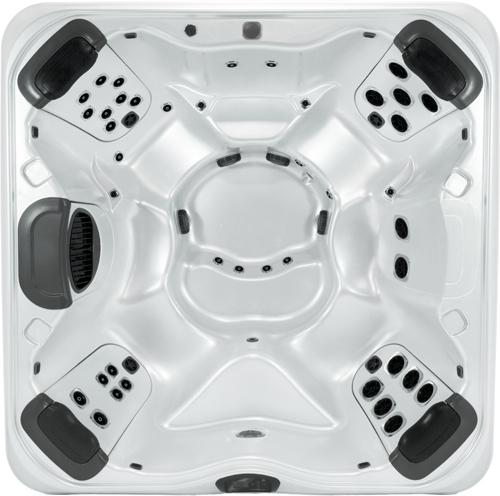 Bullfrog Spas R7 has seating for six and comes with four removable Jetpak’s. High Capacity Seating Layout at a Cost You Can Afford. 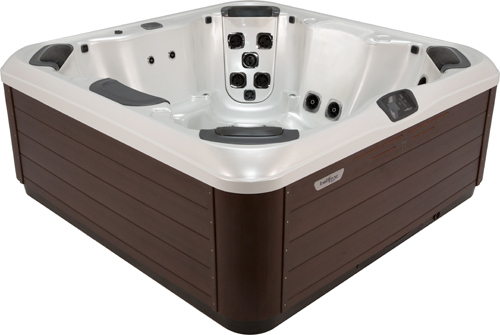 The R7 provides two side by side corner captains chairs, that each feature wrist, hip, and foot jets. In addition, each corner seat features a JetPak of your choice.